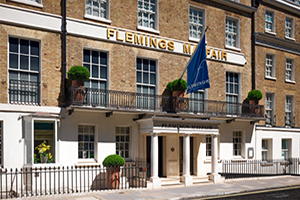 Situated in one of London’s most exclusive neighborhoods of Mayfair. 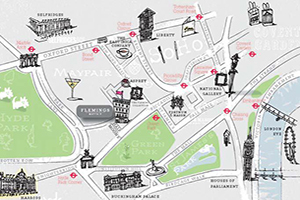 The hotel is steps away from Green Park, Piccadilly, and Buckingham Palace. 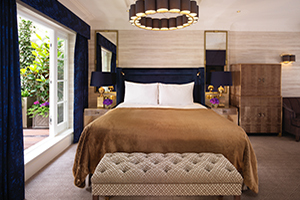 129 luxury guest rooms and suites. One, two and three bedroom apartments are available with fully appointed kitchens. The Townhouse, a unique 7-bedroom private residence that is part of the hotel with a separate street entrance. 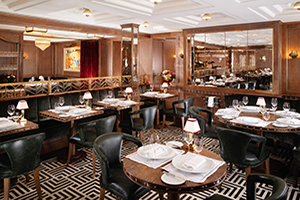 Ormer Mayfair is a stunning art deco inspired restaurant overseen by Michelin-starred chef Shaun Rankin and is awash with 1930’s glamour. The Drawing Room, a refined Indian inspired tea room echoes elegance and grace in homage to the hotel’s 18th century origins. The entire staff at Flemings is WONDERFUL! As is the hotel. The Restaurant has a great chef and some of the best food I have eaten in a long time. We couldn’t be happier and would stay there again and again. London Heathrow Airport – The third busiest airport in the world. It is located 45 minutes from the Hotel. 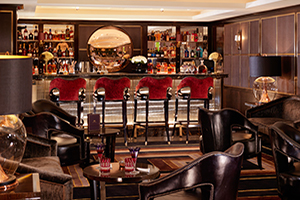 Eurostar – Approximately 20 minutes from the Hotel. 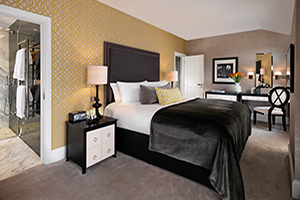 129 luxury rooms, suites and apartments. 24-hour room service and concierge. 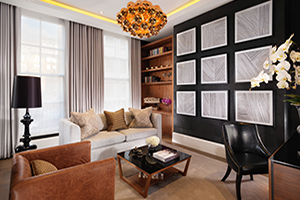 Partnership with Michaeljohn, Salon and Medispa in Mayfair. Only a 7 minutes’ walk from the Hotel.